Our story goes back long years, when two friends with a Tinian descent meet each other in terms of a long-standing professional liaison, build a strong family relation and dream of returning to the place where they themselves along with their wives love dearly. Time has come and here we are, on the island of Tinos, aspiring to bring to our homeland our love of good coffee and quality wine. This is how Argy’s emerged. 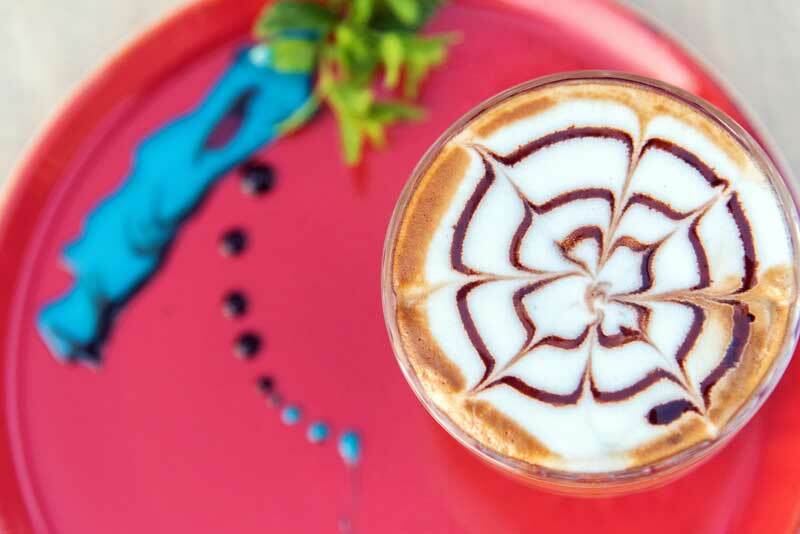 The title “Wine and Coffee Lovers” fully engulfs our will and intent and is aimed at offering, in full respect, our quality services and goods both to the local inhabitants and the visitors to the island. So here goes from our own party to all of you a warm-hearted WELCOME. Argy’s is an amphitheatric Cafe & Wine Bar Restaurant in Tinos Town, right at the new port, where one can enjoy from early in the morning till late at night a special coffee branded VERGNANO 1882 (the oldest espresso coffee brand in its birthplace Italy), taste any of the succulent handmade sweets and cakes of the day and try the special sandwiches offered on our premises. Surely, the above scene is topped with a view of the deep blue sea and the accompaniment of discrete music. Then again, should one be in a hurry, one can take all these away, as we make sure that our take-away price list is most properly adjusted to date. Newsletter Sign-up Deal alert right to yuor inbox! 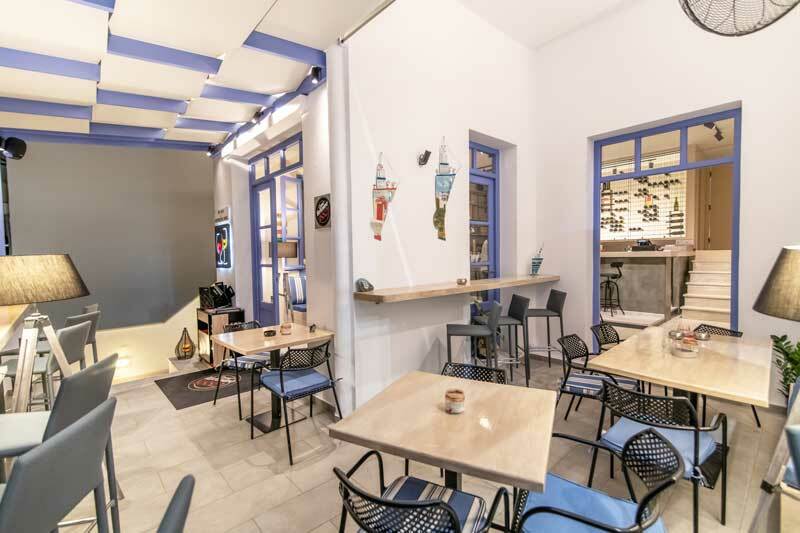 Argy's Coffee & Wine Lovers is a Wine & Bar Restaurant located just above the new port of Tinos. We serve coffee, drinks, cold drinks, beverages, sandwiches, proper meals and a great wine collection in a friendly atmosphere with a lovely landscape while balancing between flavours and colors. You can also take-out your coffee with you, to start your day.